Window Well Cover Hinges - Prop open your cover easily! Window well covers with hinges and prop-up bars make ventilation and emergency fire escape much easier. 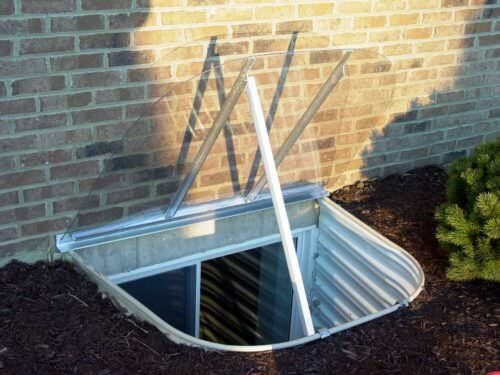 Add a hinge and prop-up bar to your custom window well cover to allow easy access both in and out of the window well when needed for emergency or maintenance. Looking for some fresh air? Window well covers with hinges and prop-up bars make ventilation and emergency fire escape much easier.